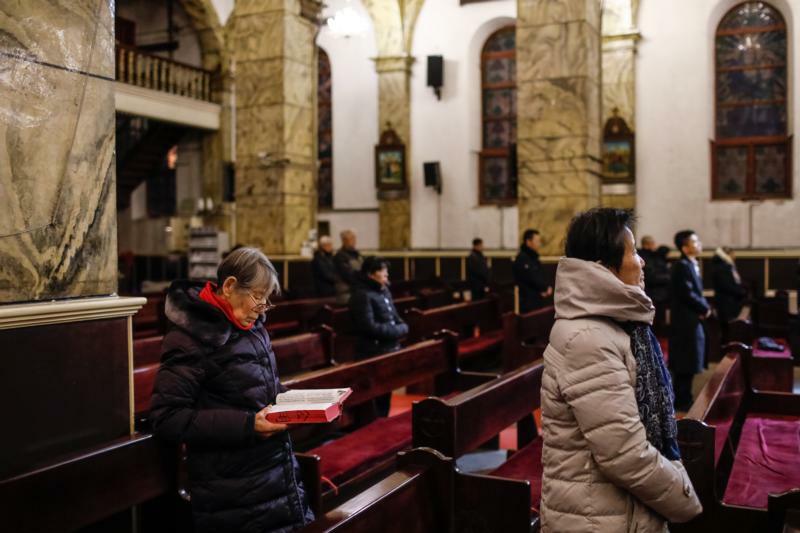 Is China’s targeting of Catholics pushback from low-level party officials? BANGKOK (CNS) — Although China and the Vatican signed a provisional agreement on the appointment of bishops in September, persecution of Chinese Catholics continues. Some believe there is considerable pushback against the Vatican-China deal from inside China’s United Front Work Department, the Communist Party-controlled religious bureaucracy, especially at a more localized level. “Many officials at a local level feel they need to change in their old ways to deal with religions. This means a more difficult job and less power,” said Francesco Sisci, a longtime Italian media correspondent in Beijing and now a senior researcher at Beijing’s Renmin University. The latest controversy for Catholics is the detention of at least four priests: Fathers Zhang Guilin and Wang Zhong from the Diocese of Xiwanzi and Fathers Su Guipeng and Zhao He from the Diocese of Xuanhua. The men were detained during October and November; both dioceses are in Hebei province. Their sin appears to be a refusal to join the Chinese Catholic Patriotic Association, the government-sanctioned organization that works to control church leaders. A number of publications have reported the detained bishops have been subject to detention house arrest and indoctrination classes. As well, the cross from the bell tower and the spires of a church in Shangcai County in central Henan province were destroyed; the church was sealed, reported Asia News, a Rome-based missionary news agency. The campaign to “sinicize” religion has been officially underway since the annual meeting of the ruling Communist Party’s Central Committee in October 2017. Then new rules and regulations on religion were introduced in February and March. The State Administration for Religion Affairs, which oversaw the Chinese Catholic Patriotic Association and the government-sponsored bishops’ conference, was disbanded, and its activities and staff were put under the direct control of United Front Work Department. This is the arm of the party responsible for policy on religions, and it answers directly to top party leaders. Many people hoped the deal with the Holy See would see an end to the string of cross removals, church demolitions and the detention of clerics. “What is happening actually is an application of the new regulations about registrations of priests and churches” implemented earlier this year, Sisci told CNS. Lawrence C. Reardon, associate professor of political science, University of New Hampshire, noted that the current campaign is not focused just on Catholics, but is indicative of Chinese leader Xi Jinping’s continuing campaign to control all religion. “I think the center does always have the capacity to control their organizations in the periphery, so you get some overly zealous cadre going after ‘miscreants’ in order to ensure that UFWD won’t target them as being too lax,” he said. “The top has told them to tighten the screws, and the provincial/local levels are adding more ‘torque’ to ensure compliance and keep Beijing away,” he said. The Sept. 22 deal between the Vatican and Beijing allowed the pope’s veto over Beijing’s candidates for bishops for the first time since 1951. Seven previously illicit bishops — and one who is dead — were forgiven and recognized by the pope. One surprise about the provisional agreement was the lack of any decision by Beijing on the fate of 30 Vatican-appointed bishops who never registered with the patriotic association. The Vatican has said discussion on the official status of these underground bishops continues. In the past, many of them have vowed not to join the patriotic association. But many are getting old, and while there is no official list, Sisci believes there may be “just a handful” who are below age 75, the age at which canon law mandates bishops submit their resignation to the pope. The pope does not have to accept the resignation. Michel Chambon, a researcher at Indiana’s Hanover College, is not so sure. “I doubt that the state will do much about the underground bishops — at least officially, ” he said. Ucanews.com reported Nov. 9 that Cardinal Joseph Zen Ze-kiun, retired bishop of Hong Kong, flew to Rome in late October and handed a seven-page letter to Pope Francis, appealing for him to pay attention to the crisis facing the so-called underground church in China. He told ucanews.com that, because some parts of the provisional agreement on bishops had not been made public, Catholics practicing their faith clandestinely did not know what they should do when government officials told them they must join the patriotic association because of the deal.